A quick pick me up for the hands, choose between regular polish or a massage - 30min. 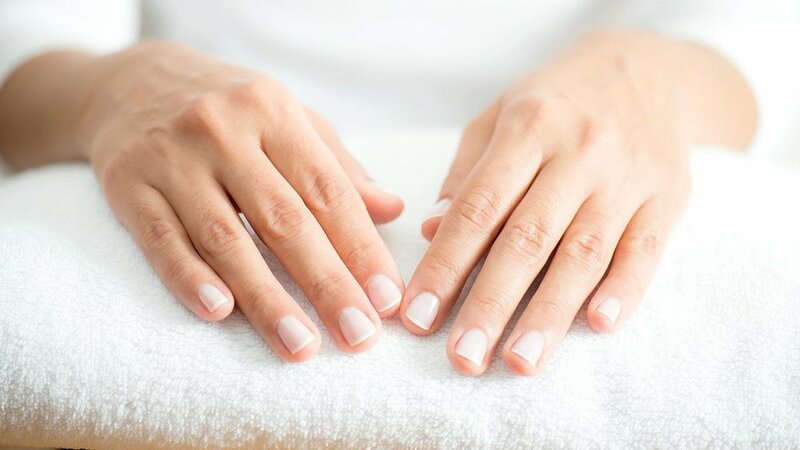 Clean up your nails and cuticles, includes regular polish and massage - 60min. A MUST for neglected hands and cuticles includes a scrub and mask application - 75min. No Chips, No Smudges, AND lasts for 2-3 weeks! Manicure with the addition of the Gel Polish - 75min. Pure shea, cocoa and mango butters nourish dry, chapped hands and cuticles. Polish application is not recommended with this service. - 45min. Your nail artist will apply the appropriate product to extend your nail length. Gel polish is included in the price. 2.25hrs. Your nail artist will apply the appropriate product to extend your nails. Gel polish is included in the price. 2.5hrs. Your nail artist will choose the appropriate product to add strength to your natural nails. 75min. Perfect for the elderly - 30min. Perfect for people who need a quick touch up. Feet are soaked, nails and cuticles detailed and polish is applied - 45min. Includes nail and cuticle detailing, polish, massage and rough heel removal - 75min. An intense version of the Perfect with the addition of a Scrub and Soothing Foot Mask or Paraffin Treatment - 90min. The Perfect Pedicure with addition of Gel Polish. This pedicure INCLUDES gel polish removal - 90min.